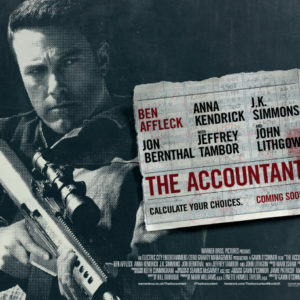 Smart, entertaining thriller about a math savant (Ben Affleck) who does the books for some of the world’s most dangerous governments and ruthless criminal organizations. Unbeknownst to all, Affleck has a deadly Jason Bourne-like side to him that emerges when things get dicey. The fine cast includes Affleck, Anna Kendrick, J.K. Simmons, Jon Bernthal and Jefffrey Tambor. Available January 10. Intense and imaginative sequel to the group breaking “Blair Witch Project.” This new movie follows much of the same path of the original as a young man goes in search of his sister in the woods inhabited by the legendary Blair Witch. There’s some high-grade creepiness and frights that should satisfy fans of the franchise. Available January 3. Live concert film from comedian Kevin Hart, who performs before 50,000 people in Philadelphia. Hart delivers a high-energy show that will excite fans. Available January 10. Action flick about a teen (Ben Winchell) who finds he can combine himself with an alien companion to form the superhero Max Steel. The film is slow to get moving and cheesy, but if you don’t take it too seriously, it has its charms. Available January 10. PBS chronicles the career of the legendary Sidney Lumet, the man behind films such as “12 Angry Men,” “Serpico,” “Prince of the City,” “Dog Day Afternoon,” “Network” and many others. This in-depth look at the late filmmaker includes a never-before-seen interview conducted in 2008. Tuesday, January 3, PBS. The long running “Bones” gets a final season in 2017. This year kicks off with Dr. Brennan’s kidnapped by former show regular (and fan favorite) Dr. Zack Addy, so you don’t want to miss the fun. Tuesday, January 3, Fox. One of television’s best soap operas is back – but on a new network. “Nashville” moves from ABC to CMT for its fifth season with most of the cast, including Hayden Panettiere, in tow. Thursday, January 5, CMT. New documentary about the murder of Jose and Mary Menedez by their two sons in 1989. Fans of true crime tales should love this in-depth look at the case, which includes new interviews with family and friends. Thursday, January 5, ABC. NBC’s long-delayed “Wizard of Oz” inspired reboot follows a 20-year old Dorothy as she and her police dog are thrown into Oz, where various entities and kingdoms battle for supremacy of the land. 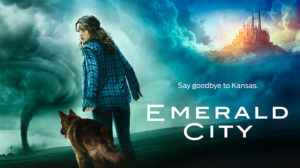 “Emerald City” promises a much darker and adult tale. Series debuts on Friday, January 6, on NBC. “Grimm” has quietly plugged along as one of the more enjoyable fantasy shows on the air. The series, about a police detective who finds he’s a descendant of hunters who fight evil supernatural forces, will wrap up after this year—the show’s sixth. So saddle up for one last 13-episode ride filled with monsters and mayhem. Friday, January 6, NBC. Ichabod Crane gets a reboot of sorts for its fourth season as he moves to a new city and deals with the tragic loss of his partner, Abbie Mllls (the wonderful Nicole Beharie). Friday, January 6, Fox. The awards season is upon us as the Hollywood Foreign Press hands out trophies to the best of film and TV. The Golden Globes are often one of the more unpredictable (and entertaining) events of the year. Jimmy Fallon hosts. Sunday, January 8, NBC. Tom Hardy stars in this eight-episode thriller about an adventurer who returns from Africa looking for revenge on those who killed his father. Set in the early 1800s, “Taboo” features an outstanding cast, including Hardy, Jonathan Pryce and Oona Chaplin. Tuesday, January 10, FX. Former “Daily Show” correspondent Samantha Bee scored one of biggest hits of 2016 with her own comedy news program. Check in for all the fun as season two premieres on Wednesday, January 11, on TBS. James Corden’s “Carpool Karaoke” is a viral smash. “Lip Sync Battle” is a viral smash. So why not combine them! Craig Robinson hosts this new series where he picks up contestants (as well as celebrity guests) in his car who must sing for cash. Thursday, January 12, Spike. Eight-episode adaptation of the popular series of books (with series author Daniel Handler doing the writing for the show). The books follow the lives of the recently orphaned Baudelaire children, who must battle a distant relative, Count Olaf, who wants the kids’ fortune for himself. Patrick Warburton, Neil Patrick Harris, Malina Weissman, Joan Cusack and Aasif Mandvi star. Friday, January 13, Netflix. 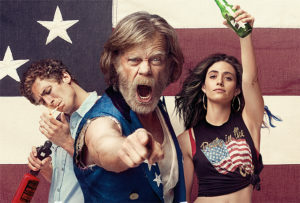 Showtime is bringing back “Shameless” for a 12-episode eight season. Turner Classic Movies will run a Debbie Reynolds marathon on January 27 in honor of the late actress. The line up includes “Singin’ in the Rain,” “The Unsinkable Molly Brown” and others. Netflix has renewed “Fuller House” for a third season, while USA will bring back “Shooter” for a second year. 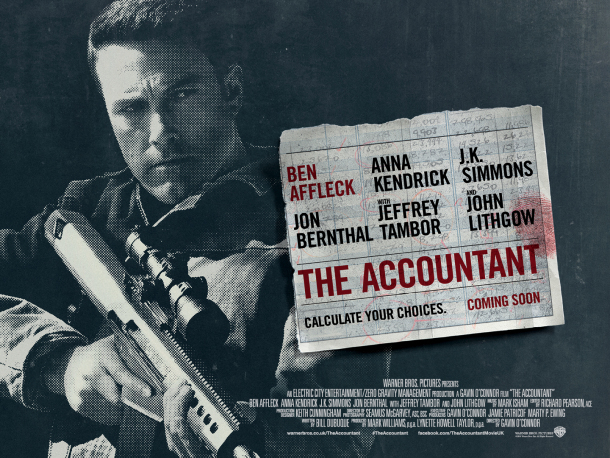 The Accountant – Warner Bros.
74th Golden Globe Awards, American Masters: By Sidney Lumet, American Murderers, Blair Witch, Bones, Caraoke Showdown, Debbie Reynolds, Emerald City, Full Frontal With Samantha Bee, Fuller House, Grimm, Impastor, Lemony Snicket's A Series of Unfortunate Events, Max Steel, Nashville, Salem, Shameless, Shooter, Sleepy Hollow, Taboo, The Accountant, Truth and Lies: The Menendez Brothers - American Sons, What Now?